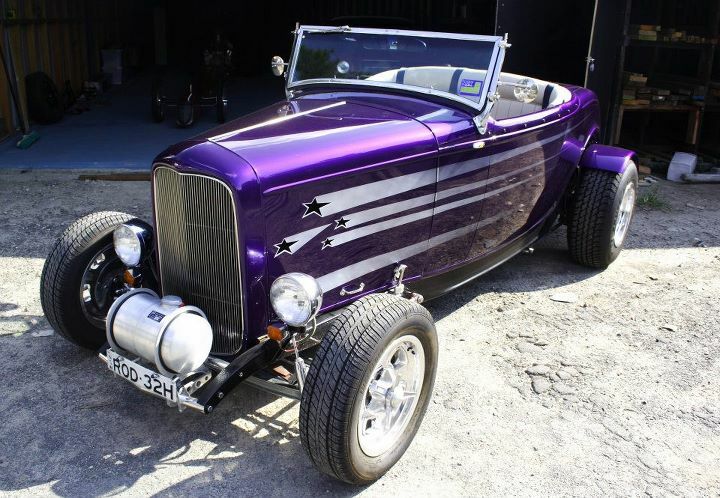 1932 Ford Roadster, registration ROD 32H, purple in color with Southern Cross graphics on sides, black roof, cream trim, powered by 302 Ford V8, auto trans, nine inch rear end, Halibrand style wheels all around, no mudguards, Deuce glass body. Stolen from Ashfield Sydney between 4am and 6 am Monday March 12. Any info can be passed on to Ashfield Police 02 9797 4399.